É aconselhável fazer uma nova instalação. O Blitz não usará mais a extensão - MOD, já que é oficial. Copiar configuração de joystick não funcionara* pois a identificação do joystick agora é por nome do dispositivo (ex. VKB Gladiator...) ao invez do Joy1, Joy2... como antes. Isso é para tentar a renumeração que acontece no (r)Windows10. * A não ser que edite o ConfUser.ini substituido Joy1, Joy2... pelos nomes corretos, ex. : "VKBsim_Tiny_BOX_-91C0D62D"
E, o Blitz requer Windows 64 bits e VGA DirectX 11. We would like to begin this announcement by saluting 1C Games for their willingness to trust Team Fusion with the valuable commodity which is the "IL-2 Sturmovik: Cliffs of Dover" Source Code. Thank you Nikolay Baryshnikov and Jason Williams. Our second vote of thanks must go to the CLIFFS OF DOVER community... without your loyal support and enthusiasm Team Fusion would not be in the position we are in today, with the opportunity to have fun with our favourite game and hobby. We hope "IL-2 Sturmovik Cliffs of Dover - Blitz" will meet the communities expectations... it is not a full game... only a patch, with a few new aircraft and features, but if the reception is positive, it will lay the groundwork for Releases which will be a lot more substantial and exciting. And it will be the solid foundation for further development of this game engine. The process which has led up to this Release has been more difficult and challenging than expected. Although we now do have access to the Source Code, we lack the guidebooks and technical manuals of the original development team, lost in the years after the project was originally shut down. Progress still requires a lot of testing and educated guesswork. The good news? The creation of TF 4.5 was a huge learning experience and with that experience and the new found knowledge, we will progress more quickly towards the completion of TF 5.0. I would personally like to personally thank each and every member of Team Fusion for their contributions. I am proud to be a member of this team. Viewers can find the TF member names in the Game credits. Additions and changes to original game. - New faces, uniforms and some minor corrections for the pilot models. "We are asking Valve to fix an issue that is preventing BLITZ form being distributed to all that already owns CLOD. EVERYONE PLEASE BE PATIENT WHILE WE HELP THEM CORRECT THIS." If you already own the game and are having problems downloading it, I would recommend you do not buy it, but wait for them to resolve the problem. I have been told by 1C the purchasing issue has been resolved. Those having a problem, please check your Steam listings for games again. Tenta registrar a DLL novamente. Mas dá pra iniciar ele junto com o Clod? 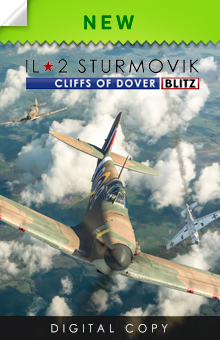 IL2 Sturmovik: Cliffs of Dover Blitz (TF 4.5) is now available on Steam and is a free download for all existing owners of IL-2 Cliffs of Dover. The process which has led up to this Release has been more difficult and challenging than expected. Although we now do have access to the Source Code, we lack the guidebooks and technical manuals of the original development team, lost in the years after the project was originally shut down. Progress still requires a lot of testing and educated guesswork. The good news? The creation of TF 4.5 was a huge learning experience and with that experience and the new found knowledge, we will progress more quickly towards the completion of TF 5.0. I would also like to personally thank each and every member of Team Fusion for their contributions. I am proud to be a member of this team. You can find the TF member names in the Game's credits. Eu desinstalei o CLOD antigo e deletei a pasta 1C soft club, fui na steam e baixei apenas o clod blitz de 7GB. Na steam tem a opção de instalar o antigo e o novo. Em londres com Spitfire, gráficos no máximo, 1920x1080 está fazendo 40~50 FPS com uma GTX1070 + I7 2700K @4.8Ghz + 16GB. Notei que está usando apenas 45% da VGA com VSYNC OFF e CPU 25% no máximo, a baixa altitude chegar a cair para 30 FPS, continua bugado como sempre. calinho escreveu: ... continua bugado como sempre. Claro, Blitz é o velho CloD de sempre, só que "enfeitado". Другой вопрос - программа NewView теперь не работает! с 200-хрен знает какого года работала, и в ЗС, и в БоБе - а теперь нет Кто знает, где Хрюкс? (создатель её) . Форум этой проги тоже не работает. Another question is that the NewView program does not work now! With 200 horseradish knows what year she worked, both in the AP and in BOB - and now there is no one Who knows where the Hruks? (the creator of it). Forum of this program also does not work. I guess the problem is because IL2 CoD Blitz is now 64-bit, while NewView is 32-bit. Probably only the author of NewView, Hruks, can fix this, by upgrading it to 64 bit. Iiii, mas o CloD não suporta VR. Pelo tanto de "game crash", "launcher closed", "my joystick not detect", FPS >10, "rubber banding"... continuará para sempre o "CloD". Também não está tão ruim, eu estou tendo boa performance com o jogo, bem melhor que antes. Em algumas missões SP com alguns bombers (9) notei algum "rubber banding" - em alguns momentos o voo do seu ala não é fluído, mas vai em "micro-warps". que também são mais fáceis de visualizar à distância. Disseram que agora vão focar em resolver os problemas do MP - já que é o principal foco deste patch. Editado pela última vez por 21_Sokol1 em 18 Dez 2017 13:51, em um total de 1 vez. Editado pela última vez por 21_Sokol1 em 18 Dez 2017 13:50, em um total de 1 vez. - Spitfire I/IA/IIA cockpit fix for radiator lever. Adicionaram a plaqueta que indica a direção de abertura/fechamento do radiador do Spit I, inclusive com o triângulo vermelho que indica a posição de menor arrastro. Shift+3...+8 para selecionar motores 3 a 8. Comando mapeado para o "Mouse 5" - sendo que a maioria dos players usa mouse de 3 botões. External view = Alt+F2 <<< isso transfere o controle do avião para a AI, mas não é o Autopilot - razão de reclamarem do "bug" que não conseguem voltar para o cockpit, e portando deveria ter o nome alterado para algo que indicasse isso. Toggle Selected Engine - que deveria ser "Start Selected Engine" (e ai newbies ficam, "como ligo o motor? ", não tem comando no "the worst CFS controls, ever"). Mas nos tópicos que fiz sugerindo corrigir isso - que pode ser feito pelo Notepad - apareceu fanboy com a mesma tática do BoS'phice - me criticando para alterar o foco do assunto. E agora os "new players" (a maioria é que comprou o CloD e desistiu de passar raiva a tempos) estão reclamando das mesmas coisas que reclamavam no Bananas'Drama - a 6 anos atrás. Bom, finalmente estou me motivando para dar um UNINSTALL no CloD e talvez no olhar de novo quando sair o 5.0. 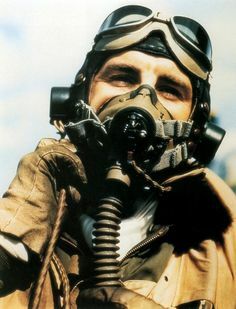 Apesar do grande trabalho VOLUNTÁRIO dos caras, continua o "velho e bugado CloD" e este maldito "Lean Toward War Thunder" talvez seja a gota d'água que me faltava. Editado pela última vez por 21_Sokol1 em 18 Dez 2017 15:45, em um total de 1 vez.